Gadgets make life easier. I have already shared many type of gadgets which you can find here by clicking here. 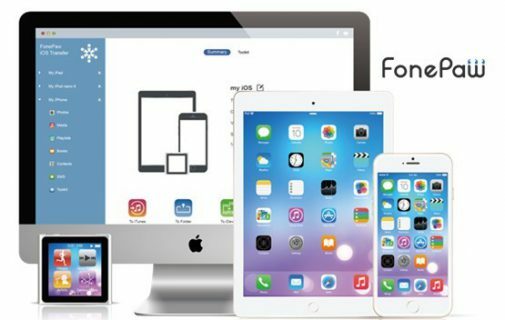 Few days ago I have shared gadgets for home and today I am sharing 10 office gadgets you can try out to make your life easier. Yes! A coffee mug warmer. This is a simple yet brilliant concept. As the name suggests, it uses power from any USB outlet and keeps the cup warm when the cup is placed on it. On a hectic day when you have to work faster than you can sip your coffee, this will be the perfect gadget for you since it will keep your coffee warm and keep you charged. The ecofriendly charger for your smartphone or tablet. You don’t need to connect it to a power source for it being able to charge your device. Just stick it on a window where it can be in contact with direct sunlight and there you go. 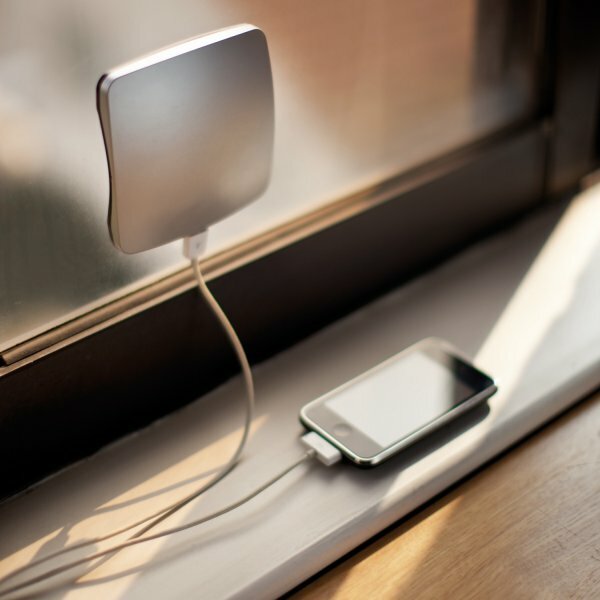 You have your own charger that runs on solar power. You won’t have to keep your phone in awkward places where the power socket is and you can keep it right in front of you. This charger has a 1400mAh Li-ion battery cased into the plastic box. The LED indicates the status of power in the battery. It glows RED when the battery is low and turns GREEN with full battery. Basically, having this awesome gadget is like having a solar panel of 3×3 inch PV with you that can use the sun to recharge your phones and devices. This product is available into the market into different shapes (Square, Rectangle, Oval, Round) depending upon the company and colors. The XD Design mobile solar charge are range between US $60 to $65. 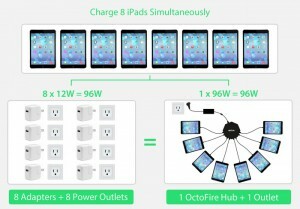 OctoFire 8 Port USB 3.0 Hub is designed by Skiva Technologies and the product is funded on Kickstarter. The device is designed with a concept to provide a socket to charge different smartphones together within a short time. This device has eight USB ports and it uses 96W power where each of the 8 charger slots can charge each device at 2.4 A per port. 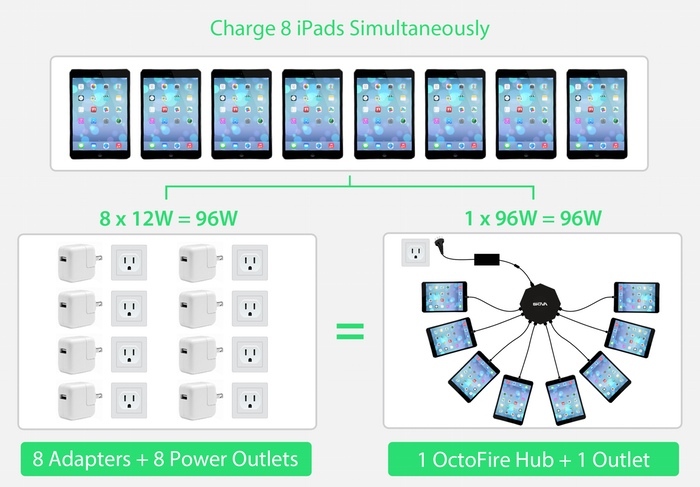 This ecofriendly concept can be used in your office to charge multiple devices at once. 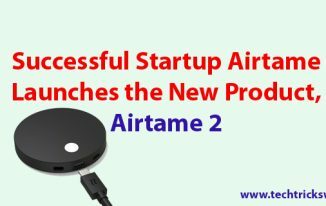 There is one more feature that we find interesting in this gadget. While charging the phone you can share files with other devices charging through same device at a speed of up to 5 Gbps. The device is very compact and there is minimal amount of heating that occurs so you don’t need a cooling unit inside of it. Ever wanted a refrigerator that you could carry around? This gadget might seem a bit funny but it is also one of the many useful gadgets for your office that we have included in this list. This device is now quickly setting trends for offices and workplaces. It doesn’t takes much space on your desk and works well with the USB cables. 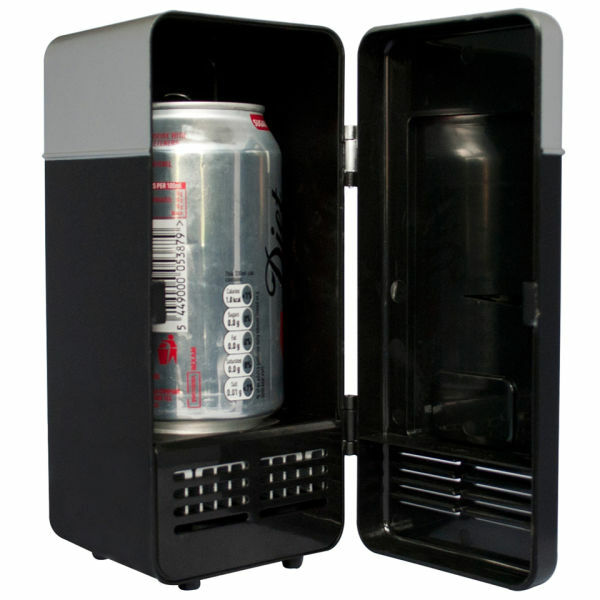 The body of this USB Fridge is made entirely with hard plastic and uses a magnetic auto lock mechanism for locking the door. It works on thermoelectric technology principles to chill your drinks. The fridge basically consists of a metal temperature pad and a fan powered by 500mA. The standard size of this USB fridge can accumulate a 12oz can of soda. In an office where everyone needs a silent atmosphere to be able to concentrate and work, small annoyances like mouse clicks can be irritating under stress. Nexus SM-5000 Silent Mice is a small comfortable piece of hardware you can use instead of your regular mouse and this doesn’t make any clicking noise. 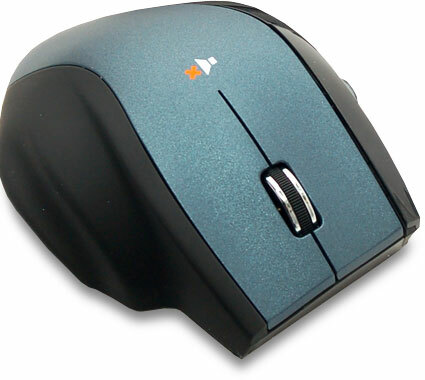 The wireless mouse comes with a nano receiver as its USB receiver. So, once you installed the mouse into your Laptop/PC’s, you can leave it there for future use. The Nexus SM-5000 Silent Mice also comes with Double Scroll Wheel which is basically an extra wheel to scroll faster while browsing forward & backward. You can adjust its sensitivity using DPI switches and you can toggle between 1000, 1200, 1600 DPI. It also reduces the noise created during the clicks made by the mouse. 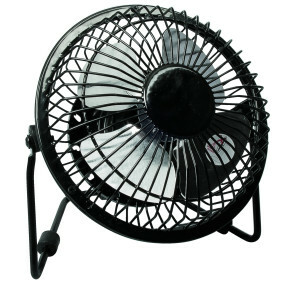 Sometime when the office’s AC is not much functional, you will be in a need of a fan that cools you down while you are working. This device can provide you with a bit of extra comfort while you work and it is powered by USB so powering it at your workstation won’t be a problem. 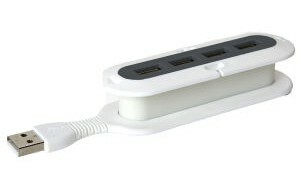 This USB Hub can be used when you have to connect more than one USB devices but you are short on USB ports that can be used. This extendible hub can be used for connecting different devices like keyboard, mouse, microphones, webcams etc. This device provides you with four extra USB hubs and they have full flexibility of 360 degrees. Yes!! It’s not smartphone and your read that right, it is a smartpen that we are talking about. This awesome device is used for recording each and everything that you read, write & hear. Whatever you write on the notes/pads, you can easily access it your tablet or smartphone with the help of Livescribe+ mobile app. This smartpen can be used while you’re into some office meeting to record the audio and the things you write on your paper can be further used in digital form. 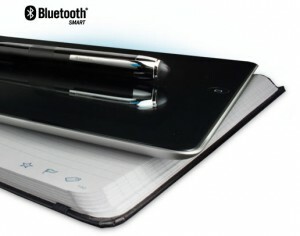 The smartpen can be directly connected using Wi-Fi and you can even store it directly to your Evernote account. Working on a desk with a computer on it can be a hectic task with all those cables lying around on the table. A mouse cable, the Keyboard cable and some USB cables can make the table look like mess and they also take up a lot of space. 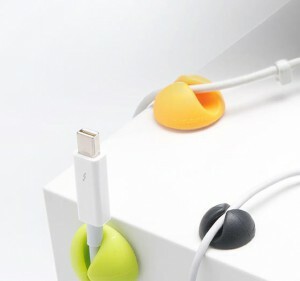 The Bluelounge is a simple and effective concept to manage your cables. You just have to fix it on your desk where you want to arrange your cable neatly. The Bluelounge is available in different sizes and colors. The two sizes that you can get are CableDrop & CableDrop Mini. The Cable Drop can be used for the medium to large cables with large connectors, whereas CableDrop Mini can be used for the smaller connectors. We already shared a coffee warmer that is powered by USB. How about a mug that automatically stirs your drink at just a push of a button? Well we have just the right thing for you. This mug has a small motor that rotates to stir the drink. The motor is powered by with the help of 2 AAA sizes batteries. That means no extra requirement for charging or anything. So this was a post with a list of 10 gadgets that you can use to make your life at office easier. If you want to make some additions into the post, you can let us know in the comments section below. Also tell us which gadgets from the list you liked the most! How to Brand Yourself as a Professional Writer? You are right atish these gadgets make life easier. Very good list you have. I like the ecofriendly solar charger and silent mice is comfortable to use. All these gadgets are useful in our daily routine life with good look. Thanks for sharing advance gadgets with us.!! Atish really very cool list of office gadgets. The 2 most useful gadgets are going to be the USB Fridge and USB Cup Warmer. The USB Cup Warmer will be helpful in keeping the tea or coffee warm while one is busy working, while USB Fridge will be very useful during the summer season as one may definitely want to have some cool juice or cold drink especially during the afternoon time. 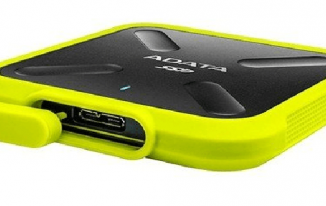 Brilliant post Atish, These are some of the gadgets i want to own now, its looks very tempting to buy such gadgets notably the USB fridge for this Summer. Oh my word, this is too much. I love it!! Love the cup warmer and also the solar charger! Now that’s an awesome product! Where do you find these inventions? So cool and awesome! Thanks for sharing! Hope you have a wonderful Tuesday. 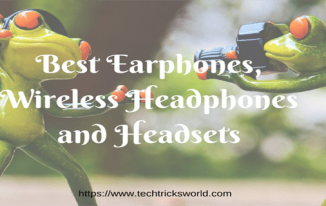 Nice Blog Brilliant post Atish, These are some of the gadgets i want to own now Atish really very cool list of office gadgets Thanks for letting me know about these advanced and all innovative tech gadgets to live a peaceful blogging life ahead. Even though I’m a tech freak, I unaware of all these office gadgets which you’ve collected here. I enjoyed reading this post and good to check its details. I would like to have USB cup warmer and Fridge. Both seem amazing gadgets. Technology is emerging a lot and we are looking a lot of revolutions which have the direct impact on our usual life. Thanks for crafting this nice post, just showed this post to hubby as it may help him to buy some gadgets to use in the office. Nirmala recently posted…Where To Buy Computer Parts Online? 😀 Thanks for letting me know about these 10 super-cool gadgets. 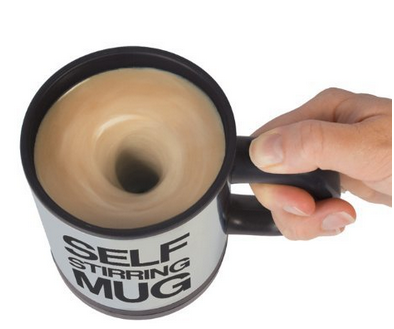 Self Stirring Mug, I just loved that thing. Keeping sharing awesome stuffs. Very interesting information. I liked USB self stirring mug and USB fridge to make life easy! Yes they are great! Welcome to my blog Vandana. You might be proper atish these devices make life simpler. Superb listing you will have. I just like the ecofriendly photo voltaic charger and silent mice is snug to make use of. All these devices are helpful in our every day routine life with good look. 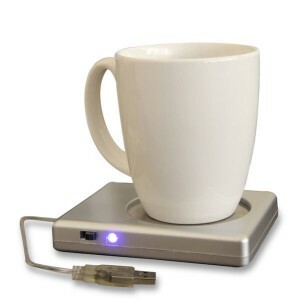 The USB coffee cup warmer is something that I definitely need. I love hot coffee and I hate cold coffee. It is inexpensive and portable. Thanks for sharing. Be Totally Awesome. You are posts always share some valuable information. Some of the gadgets mentioned here are very new to me. Keep sharing. Great to know that Reji that you liked the information shared on my blog.